The World Bank has improved the outlook for Ukraine's economic growth in 2018 and 2019. HomeUncategorizedThe World Bank has improved the outlook for Ukraine’s economic growth in 2018 and 2019. In 2018, the Ukrainian economy will grow by 3.5%, and in 2019 – by 4%. The World Bank has improved the forecast for the growth of the Ukrainian economy in 2018 to 3.5% from 3%, and in 2019 – to 4% from 3%. At the same time, the forecast for the current year was kept at the level of 2%. This is reported in a report published by the World Bank. According to the report, the efforts of the Ukrainian government aimed at stabilizing the economic situation made it possible in 2016 to achieve GDP growth at the level of 2.3%. The World Bank notes that the situation on world commodity markets has stabilized and can contribute to the economic growth of developing countries, as well as to easing monetary policy. In turn, the negative factors for the economy of Ukraine may be the restriction of demand from households, as well as the trade blockade of the occupied territories of Donbass. Recall, the Cabinet of Ministers worsened the forecast of GDP growth in Ukraine in 2017 to 1.8% from the previously projected 3%. 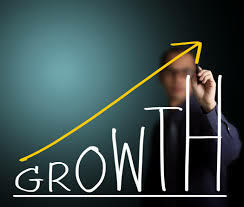 At the same time, GDP growth in 2018 is projected at 3%, in 2019 – 3.6%, and in 2020 – 4%. And the International Monetary Fund expects GDP growth of Ukraine in 2017 by 2%, in 2018 – by 3.2%, in 2019 – by 3.5%.